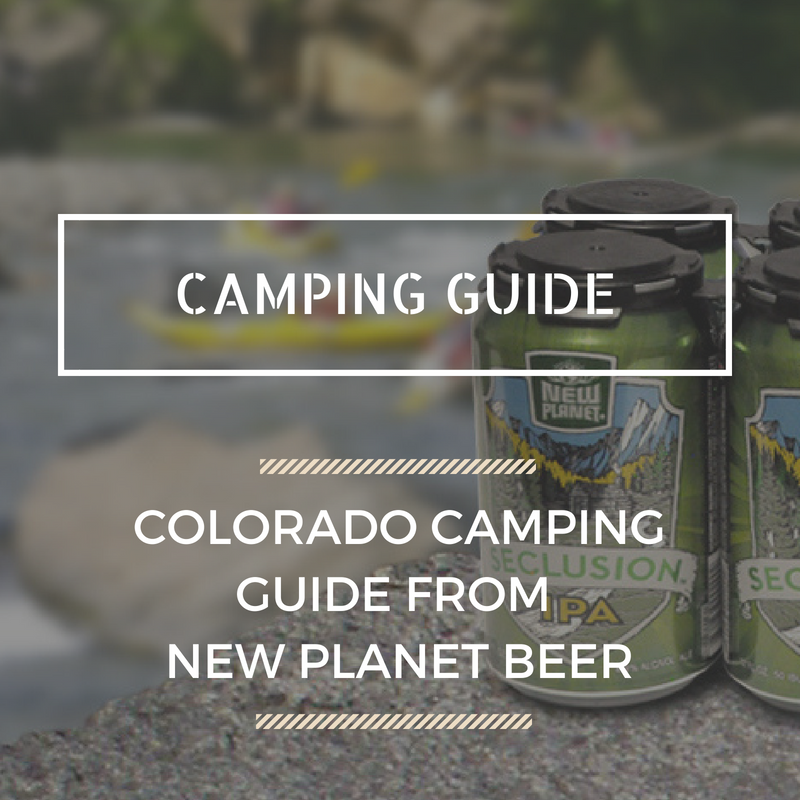 If you’ve ever spent any time holding a New Planet Beer can or bottle or checked out our website, it will come as no surprise to you that we’re avid outdoor lovers here at New Planet Beer. We love all that Colorado has to offer year round. From mountain biking and hiking in the summer to skiing and snowshoeing in the winter, we love it all…even “mud” season when it is too warm to ski but still too muddy to mountain bike. We also love camping. Colorado has some absolutely epic camping spots. Whenever we go camping, we’re huge advocates of the Pack it in, Pack it out school of thought. This post will explore not only the principles of Pack it in, Pack it out, but we’ll also talk about some of our favorite camping sites in the Centennial State! What’s With Pack it in Pack it Out? The idea is simple, really. Whether you’re hiking or camping, picnicking, or doing yoga in the park, Pack it in, Pack it out means that whatever you bring outside with you, you bring it back with you when you leave. In other words, leave the trail or campground cleaner when you leave than when you arrived. In a perfect world, Pack it in, Pack it out means that if someone were a mile behind you on the trail, they wouldn’t know that you ate a banana 15 minutes ago, because they wouldn’t find a banana peel on the ground…you’d have “packed it out” in your day pack so that you can dispose of it once you get back home. Now, it would take us days to go over the best camping spots in the State. With so many excellent places to explore, we’ll keep this list small, but there are great resources available online once our list has you begging for the Great Outdoors! This is definitely a “car camping” place, but sometimes Weekend Warriors need a quick outdoors fix without having to backpack 10 miles in and back! Located just west of Steamboat Springs, Yampa River State Park offers expansive views of the Park Range in Routt County. With easy access to hiking and ample opportunities to swim or fish in the Yampa, Yampa River State Park has it all. And, because it is a state park, it has a lot of the amenities that make Pack it in, Pack it out easy: restrooms, campsites, electricity, and pets are allowed! What’s not to love? For more information on Yampa River State Park, visit their website here. Just make sure your cooler is loaded up with some New Planet Beer for the campfire stories (as long as there is no fire ban in place!). Nestled in San Isabel National Forest, Browns Lake offers plenty of rewards for hikers and campers who are willing to trek 8 miles in with 2,000 feet of elevation gain. Along the trail, you’ll follow Browns Creek, and if you’re looking for a quick trail detour, be sure to check out the falls, too (look for signs on the trail to find the falls). Once you get to the lake, you can find some epic camping on the east side, and if you’re hiking with a larger group, larger clearings are available on the west side. Another bonus of this hidden gem is that if you plan an extra day, you can climb Mount Antero, the nearby 14,269 foot peak. The best part of this hike is that you can summit the mountain almost exclusively on 4×4 roads, which isn’t widely used, so you’ll avoid the summer 14er crowd on the more popular standard summit route. More information and directions to Browns Lake can be found here. With over 14.5 million acres of national forest land, Colorado has so much to offer the adventure seekers who call her home (or who come to visit and wish they could call Colorado “home”). But one of the things that keeps drawing us to the outdoors is the pristine beauty that Colorado provides. So in order to keep Colorado beautiful for generations to come, be sure to Pack it in, Pack it out all year long when enjoying the great outdoors. And while you’re at it, tote a few cans of New Planet Beer with you…sure, the 12 ounces of liquid deliciousness might weigh down your pack a bit on the way in, but cracking open a cold one on the shores of Browns Lake (or any other destination) is well-worth the effort…and that empty can is hardly noticeable in your pack as you head down when all is said and done.